Following the regular ways of styling, the hair could be very boring. It is even more boring when you have to repeat the same old styles every day. Then, when you choose to try new things with your hair, coming up with new and different style ideas every day could be stressful and tiring too. Due to these challenges, we have decided to come up with home hairstyling tips that will be useful for you daily. It’s time to move from the dull, regular old styles and embrace a new beginning. Shall see begin! 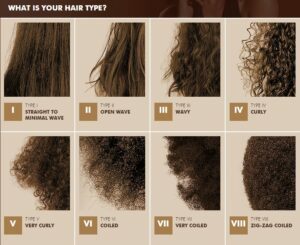 Knowing your hair type is essential to get the right hairstyle and products as well as the right way to handle your hair. 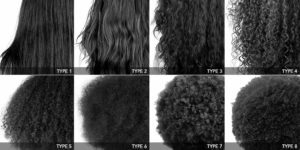 Knowing your hair type will serve as a preventive measure against damaging your hair. The hair can be of two kinds; fine and thick. Fine hair types are those kinds of hair that have volumes hard to maintain. There fewer strands and even the strands are skinny. Thick hairs often feel coarse and have more weight. To hold down styles with bobby pins on this type of hair is often difficult. To control frizz with coarse hair is also another problem. Since you now know if you have thick or fine hair, it is vital to understand what the hair needs to handle it properly. Those with fine hair type have more advantage when they have to choose hairstyles; chignons, messy ‘dos, low buns, etc. are styles you can wear. You can even decide to straighten or curl the hair. For volume boost, you can try soft layers, face trimming layers and short. The choice depends on your taste. For thick hair, controlling them requires extra attention because of their heaviness. So, styles like high buns, side ponytails and braids are ways to keep your gigantic hair under control. Also, doing a blowout is a good idea as it lasts longer. You can occasionally straighten the hair with heat but ensure you apply a heat protecting spray to help you prevent damage. 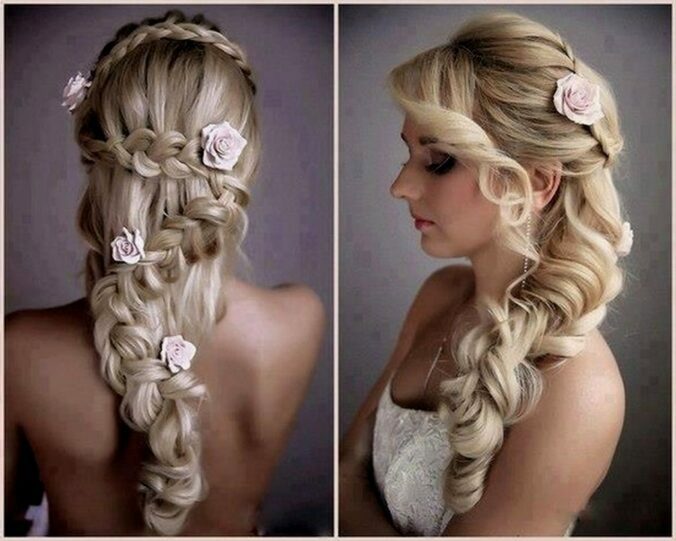 To give your hair those pleasing curls, you first of all need to get a curling rod for the job. You may look out for that with a 1 ½ inches barrel. Note, the smallness of the barrel the will determine the tightness of your curls. Ensure it has a heat setting gauge too. The heat settings are essential because coarse hair often requires more heat than fine hair. So, you should go for a rod you can control. If your rod has heat setting from 1 to 10, then six will do an excellent job for your hair while 10 for thick hair. The next step is to add heat protector spray to detangle your hair. Section your hair in bits and apply your hairspray on each before you roll the hair around the wand for about five seconds. Do the same with the remaining sections. For the edges of the hair, be careful not to burn your skin. Tilt your head and keep a distance. You can put a towel around your neck to prevent burns. For a natural finish, finger comb and pull the curls gently. You may spray over some hairspray to add shine and a perfect finish to the curls. Just as with curls, you need a high-quality flat iron to get perfectly straightened hair. Ensure the flat iron comes with ceramic plates. Ceramic plates encourage a more evenly distributed heat which helps prevent damage. It is also crucial to get one with heat setting display. For fine hair, do not exceed 300 degrees while thick hairs need about 400 degrees. Average hairs should get between 300 and 380 degrees. Spray in a heat protectant and detangle your hair. Allow it to dry. Apply a light hairspray section by section as you straighten the hair out. You may begin from the nape of the neck. Run from end to root. Maintain an average speed. Being too slow with it might damage your hair, going to fast might also not give you an entirely straightened hair. Therefore, maintain a balance. Work your hair in sections with the help of alligator clips to hold them separated as divided. Dry your hair if wet with a dryer while fluffing your hair with your fingers. Before choosing a brush for your long or short hair, check out the brush shape, bristles, and the barrel size. 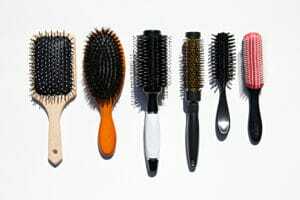 There are several brushes one can use to smooth out long, short, frizzy, and flat hair. But before proceeding, make the three B’s your mantra: Bristles, Barrel size, and Brush shape. For your brush not to give you hair breakage, you should get one with flexible and padded bristles. You should also look for that with a cushioned back. When brushing, start from the ends to avoid stressing the hair. You should invest things like good shampoo, serum, conditioners, etc. in your hair. Take time to comb your hair in the morning to eliminate grease. Have a wide tooth comb in your arena; it may come in handy to brush through wet hair with ease. Protect hair from direct sunshine, so it does not damage. You can cover with scarf or cap when going under the sun. Drink a lot of water and stay away from junks. Bobby pins are used to keep the hair in place; you should use this when need be. A goody pin is an alternative if there are no bobby pins. Use the curved part of your ponytail to roll it around your hair tie. You may want to use an eyeshadow that rhymes with the color of your hair; this will add a thicker look to your tresses. For a straight and tight fishtail braid, tie it sideways. For a quick and stylish hairstyle, even when in a rush, you can have your hair tuck inside a headband. 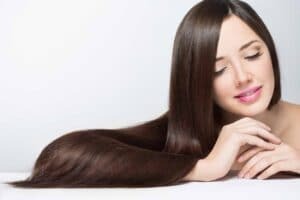 Here are five hair products that you should have at home to help you achieve that fantastic hairstyle you want to have a nice day! For top-notch and sleek hair styling, you need a good hair styler that will do the job well from start to finish. The ghd V Gold Nocturne Styler & Dryer Gift Set is suitable to achieve the best when styling your hair. It comes with a Hair Dryer and a Straightener. Among the features of the gdh V Nocturne Styler is its ceramic heat technology giving 185°C temperature. It provides fun waves and curls as well as perfect pin-straight locks; the choice is yours. Whatever your hair type is, this hair-styler will still perform well. It has smooth purple plates shaped to move smoothly over your hair without effort. The ghd AIR® Nocturne Hair Dryer ensures you get a silky finish. It has an advanced ionic technology that helps avoid frizz and flyaways. The control allows you to switch settings according to your hair needs. You can blow dry as quickly as you want, thanks to the AC motor it features. ghd Platinum Nocturne Styler offers to give your hair more color integrity, and improved hair shine. You can confidently style your hair without worrying about hair breakage. The temperature throughout the plate is consistent to ensure no hair damage occurs due to hot spots. With this product comes a matching heat-resistant bag so you can store adequately or travel with your kit quickly. Also, it comes with two nail polishes (coordinating limited edition OPI); shimmering white and a deep purple. With your safety at heart, the styler features an automatic shut off function that allows it go off after 30 minutes of inactivity. With its 2.7 swivel cord, you can travel around with your styler effortlessly. Are you seeking a product that heats up quickly and is safe for all hair type? Well then, what you need is ghd Curve Wand designed friendly with all hair types. It features a Tri-zone® ceramic technology to ensure a quick heat up. As it heats up, the temperature regulates throughout the plate at 185°C. With your safety at heart, this product comes with a safety stand and a heat-resistant safety glove. If not in use for 30 minutes, the wand automatically shuts down for safety concerns. Go anywhere with this as it has a universal voltage. Also, as expected of a professional swivel cord, it has a 2.7m cable for flexibility. There you have it; a product that will give you the most pleasing curls without stress. Who does not want to have an uninterrupted hair growth? Hence this laser hair growth product will allow you achieve the waves and curls while minimizing hair loss in the process. Even with the use of heat in your hair, you still eliminate hair frizz. How? It’s simple! Apply the heat Protect Spray in your hair before the heating process, and you are good to go. The product is suitable for all hair types and can be applied to both dry or wet hair. You can use this spray before using hair dryers, stylers and tongs. You can still have your hair flourish as you want it, this product will ensure your hair does not damage while using heat on it. So, hurry and get this. It will keep your hair nourished and soft despite styling with heat. Dull hair, split ends, or any other hair problems that develop from heat are out of the way. Are you tired of your thinning and balding hair? Do you wish there is a way to hide this problem correctly? If yes, then I have a solution. KeratinMD fixing spray for hair fiber spray is the solution. Hair thinning and baldness is a growing concern among men and women, young and old alike. It could occur due to changes in hormones, heredity, and so on. With a product like KeratinMD fixing spray for hair fiber use, you can confidently conceal the exposed places in your scalp. When you have applied KeratinMD Hair Building Fibers, then spray on this fixing spray to help strengthen the bond between your hair and the hair fiber. The hairspray for hair fiber will let it stay well to appear natural on you. Another benefit of this fixing hair-spray is that it allows the keratin hair fiber last longer by protecting it from UV rays of the sun. Having a perfect and appealing hairstyle is an achievement for a woman who is conscious of how she looks. If you are that kind of woman, then I believe this article has been beneficial to you. Another special thing is , if you want to buy 1 of above products, I give you this code: ENHAPR to get 5% discount for your next order at Leluna. Note that it only effects within this month. If you buy lately, you need to have another code, so you can leave a comment below this article, I will send you the new code at that moment. So, the above-reviewed products are also must-have hairstyling tools, why not check them out today?